A big Thank you to Mark, I had driven before in the past but due to a medical condition I had to change to driving a automatic car with hand controls, Mark was fantastic and patient with me with teaching me how to use hand controls to drive safely and legally, and this was in two lessons. Mark with your help you have helped me to get back to my independence again, and Thank you for going the extra mile and coming out of your usual area you cover and work with me in Preston. Without hesitation I will be recommending your company to everyone. Mark is great! I couldn't have asked for a better teacher he made me feel comfortable and put me at ease straight away. He was friendly and gave me the confidence to pass my test first time. The thought of gears and revs made me not want to learn to drive but when I found out I could do it in an automatic I decided to give it a try. Mark is friendly, calm and patient. Anything I didn't understand he went back through it with me and constantly gave me feedback so I knew where I was doing well and where I needed to improve. He didn't force me to book my test but encouraged me that I was ready for it (and I passed first time!) I would definitely recommend Mark to anybody and everybody. Im so happy iv passed my test first time all thanks to mark, he is an amazing instructor .I went from being a nervous wreck on the road to a confident driver.He has had to put up with my moaning and whinging every week .He is laid back and makes you feel at ease.I would always recommend Mark he is the best. Mark was friendly & professional at the same time. 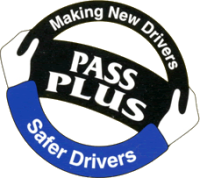 With him its not just about passing the practical but its gaining confidence and being responsible on the roads. He was really patient and very supportive. His constant feedback helped me understand my strengths and work on my mistakes. 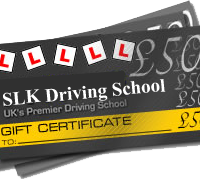 I have passed the driving test and thank you very much, Mark. I will recommend Mark to everyone, he's the best.